All over the central region of peninsular India, which is also called as Deccan, there are three seasons every year. We have a moderate winter followed by scorching hot summer that usually ends around June and then a rainy season that extends up to October. Normally, it does not rain in other seasons except in the rainy season, though we do have thunderstorms that happen during transitional months such as September -October or April-May. The thunderstorms that appear in early summer days, are particularly welcomed by people because they bring down the peaking summer temperatures for few days and make the weather quite pleasant in otherwise torrid summer. One of my pleasant childhood memories is about such summer thunderstorms that were preceded by showers of hail, which essentially are pellets of frozen rain that fall in showers from cumulonimbus clouds. Usually hail are small tiny pellets that do not cause much harm. I always remember that we would run out in the open yard with flat dishes in our hands to collect these icy pellets and bring them back home. When we could collect enough of them, we would chew them in our mouth giving us a fantastic cool feeling, which no Ice Cream or chilled drink can ever match. For years and years, I had always believed that hailstorm are freak acts of mother nature that harm no one. Roopkund is a high altitude glacial lake in Uttarakhand state of India that lies in the lap of Trishul massif in Himalayas. It is located at an altitude of about 5,029 meters (16,499 feet) and is surrounded by rock-strewn glaciers and snow clad mountains, making it a good trekking destination. The lake remains frozen except for few summer months. 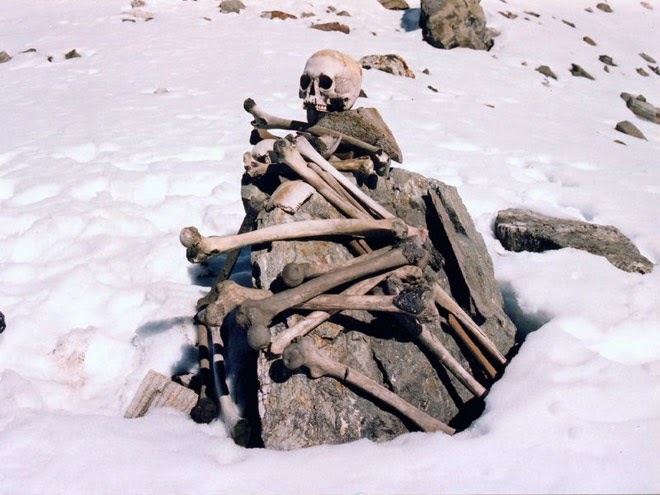 In the year 1942, a 'Nanda Devi game reserve' ranger, H K Madhwal discovered that hundreds of human skeletons along with objects like wooden artifacts, iron spearheads, leather slippers, rings etc. 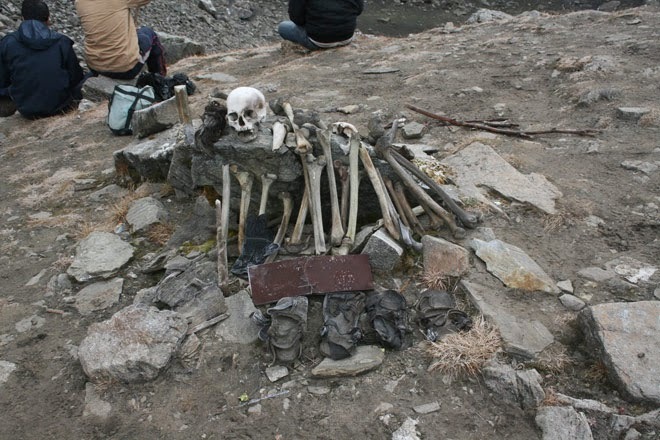 were lying at the clear bottom of the shallow Roopkund lake, which has a depth of about 2 meters. Extensive investigations have been carried out by scientists from India and also from foreign lands about these skeletons. Scientific tests revealed that the skeletons belonged to several groups of people, including a group of short people (probably local porters) and a taller group who were closely related - with DNA mutations characteristic for Kokanastha Brahmins (Chitpavans) from Maharashtra. A DNA test conducted by the Centre for Cellular and Molecular Biology (CCMB), Hyderabad, indicated that three samples with unique mutation in mitochondrial DNA, matched with those of the Chitpavans. Radiocarbon dating of the bones at Oxford University's Radiocarbon Accelerator Unit determined the time period to be AD 850 ±30 years. Obviously, nothing could be found out as to where the group was headed to. There is no historical evidence of any trade routes to Tibet in this area, but Roopkund is located on an important pilgrimage route of the Nanda Devi cult with Nanda Devi Raj Jat festivities taking place approximately once every twelve years. After elaborate investigations, researchers have concluded that the death was due to a fatal blow on the back of their heads and not due to any wound by weapons, avalanche or landslide. The marks on their skulls and shoulders indicated at being hit by something round, like a cricket ball. The absence of injuries to other body parts indicated that hard round objects, were possibly cricket ball sized hail stones or ice balls, that fell from above. 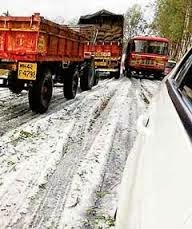 After I came to know about this tragedy from past history, my entire perception of hailstorms changed dramatically. 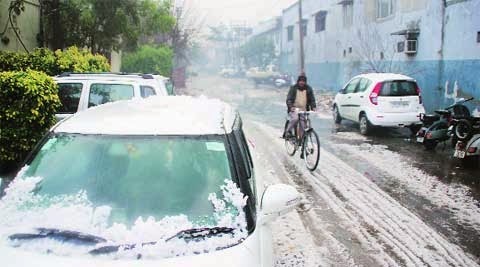 I realised that hailstorms were not pleasant showers of tiny icy pellets that brought chilly pleasures on a hot summer afternoon but rather a deadly natural bomb attack that can destroy lives, property and standing crops. 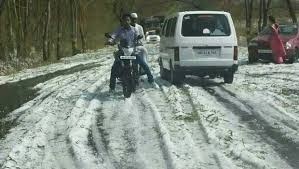 “The unusual spell of hailstorm and heavy rainfall that started more than a fortnight ago has claimed 28 lives in Maharashtra, officials said on Wednesday. Of the 28 districts that have been hit, Beed has seen the maximum number of casualties at five, followed by four deaths in Nagpur and three each in Solapur, Hingoli, and Nanded. 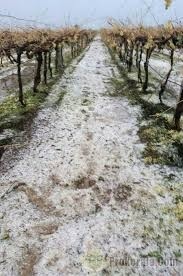 The hailstorms have been so heavy that in the aftermath, the rural landscape looked as if it had just snowed heavily there. The state estimates it will need assistance worth over Rs 50 Billion from the Federal Government to compensate the farmers, who have lost acres of standing crops and fruit orchards. Most of us are usually aware of damage caused by floods, but this year, nature has proved that it can show its displeasure in other ways too.